The parish of Esclusham (Welsh: Esclys) was formed in 1879 from the townships of Erddig, Esclusham Below, and a portion of Esclusham Above. 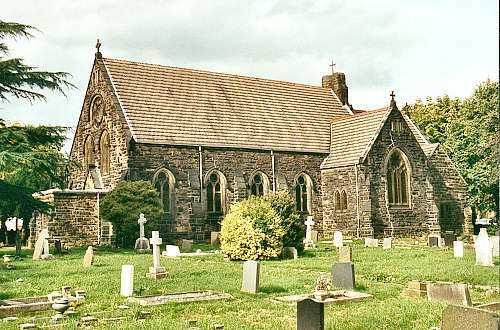 The foundation stone of the church, in Rhostyllen, was laid on 24 October 1876, and it was consecrated on 12 September 1877, in the name of the Holy Trinity. For family history information about the church and parish, visit the GenUKI Esclusham page.